If you have a server exposed to the Internet with no protection, it isn't a matter of if you will be attacked, but when. It is not uncommon for a hacker to pound your system once per second for over 6 hours to gain access. Given enough time - they will get in. Hackers will try different user names and passwords until they finally find a combination that works. It is time-consuming, but they use automated processes so they really don't care how long it takes. Even if you have no domains pointing your IP address, hackers scan all IPs to find a system to work on. Once you plug in to the Internet, expect your first hack attempt within 10 minutes. 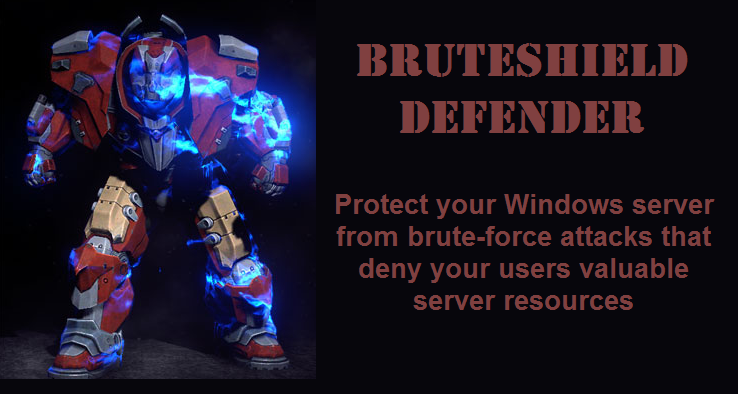 BruteShield installs as a service so your are protected immediately after reboot or install as an application to check your system for hack attempts while you watch. Either way, reports are available so you can see who is trying to get into your system. You can add IP Addresses to the whitelist to ensure your authorized users are not blocked if they fail to login repeatedly. A fully functional trial version is available. This version will report all attacks but you are limited to one block per day. This gives you a chance to see the number of attacks the lincensed version will protect you from.